Use the Kindness Elves to introduce the concept of kindness to young kids. I hope that my kid will grow up to be a kind person. Don’t we all? As mothers, we have lots of hopes for our kids. We hope they marry well. We hope they learn how to sort lights from darks. But most of these accomplishments won’t matter a lick if our kids lack character- compassion, patience, gratefulness. And kindness. Let’s not forget about kindness. So yes, I want my daughter to have all the success her little heart can hold but mostly I want her to be kind. Unfortunately, it is sometimes hard to see how a preschooler will ever be kind. More often than not, a preschooler is wholly focused on themselves. They are not babies anymore but they are not yet mature enough to share their toys on a regular basis either. They are aware of others but mostly in terms of how ‘others’ interact with them. Teaching character to young kids is definitely a challenge, but it is such an important challenge to take on. Recently, I discovered an amazing way to teach character– and kindness in particular– to my 4-year old. May I introduce you to the Kindness Elves? The Kindness Elves are similar to ‘that other elf who shall not be named’ except they don’t exist to ensure obedience. They are more like cheerleaders, reminding your kids to think of ways to be kind to others. Plus, they can be used year-round, not just at Christmas. Do a small craft based on the book and talk about the different colors of the rainbow and what they represent. 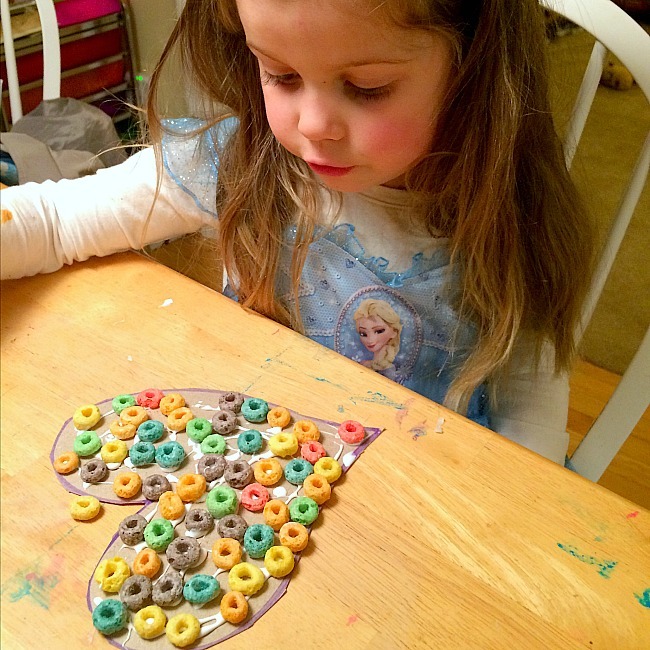 We decided to make a rainbow colored heart out of Froot Loops (see, I told you these were easy). Send a kindness card to a friend or loved one. It doesn’t have to be anything special. 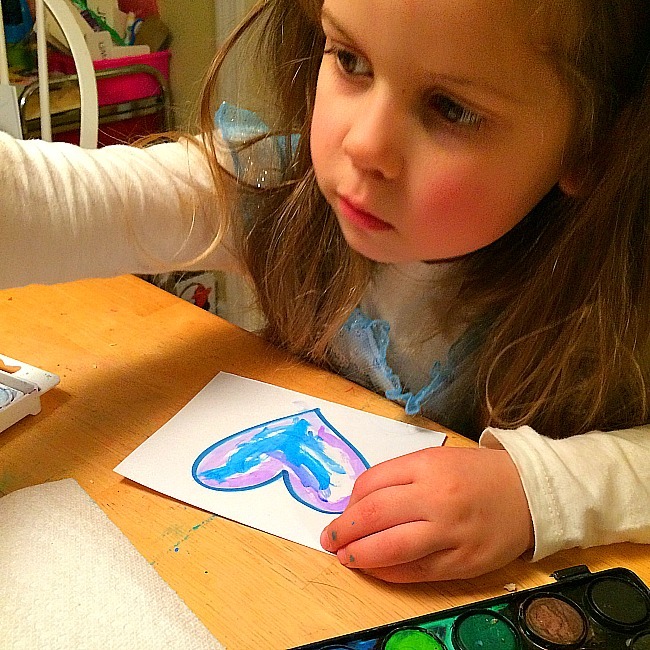 Just break out the watercolors or crayons and make cards together to give to others. The point of the card is just to say that you love them, or that you think they are neat, or just because. This is a particularly great idea for preschoolers because this kindness gesture s picture-based, not word-based. Make small bird feeders. 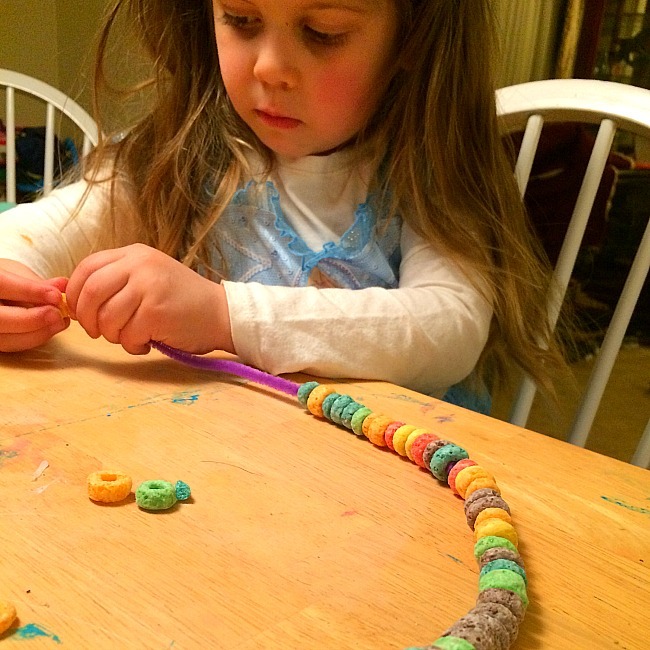 Again, we used the Froot Loops and a few pipe cleaners. Sweet Pea was super excited to see that something she did could have such an immediate and positive impact on someone else. 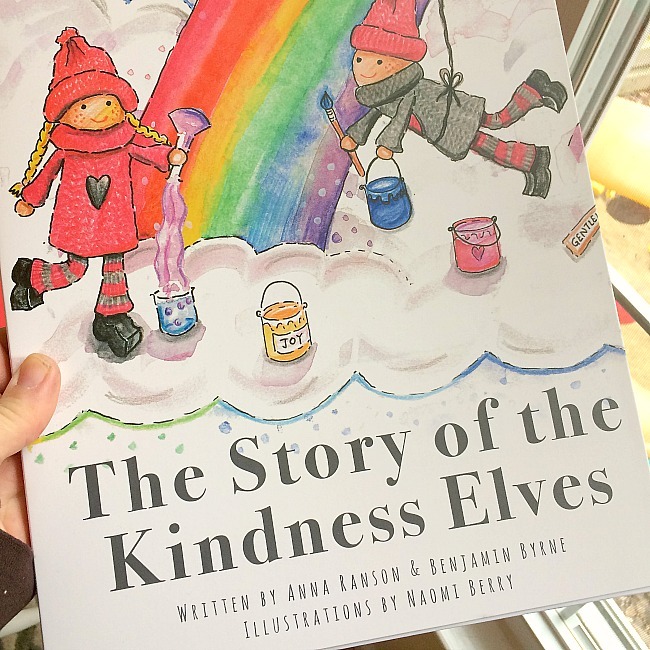 If you would like to know more about the Kindness Elves, you can click here to pick up a copy of the book for your family! I have to say that we are loving the Kindness Elves. 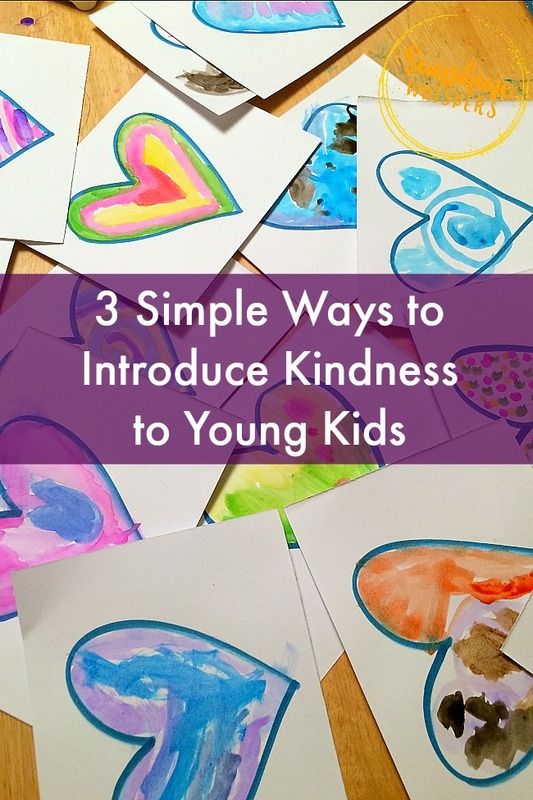 We love thinking up ways to be kind… and my 4-year old has definitely got the ‘Kindness Matters’ bug. As a Mom, I couldn’t be more thrilled.